Questions about Kichler Lighting 42225OZ? 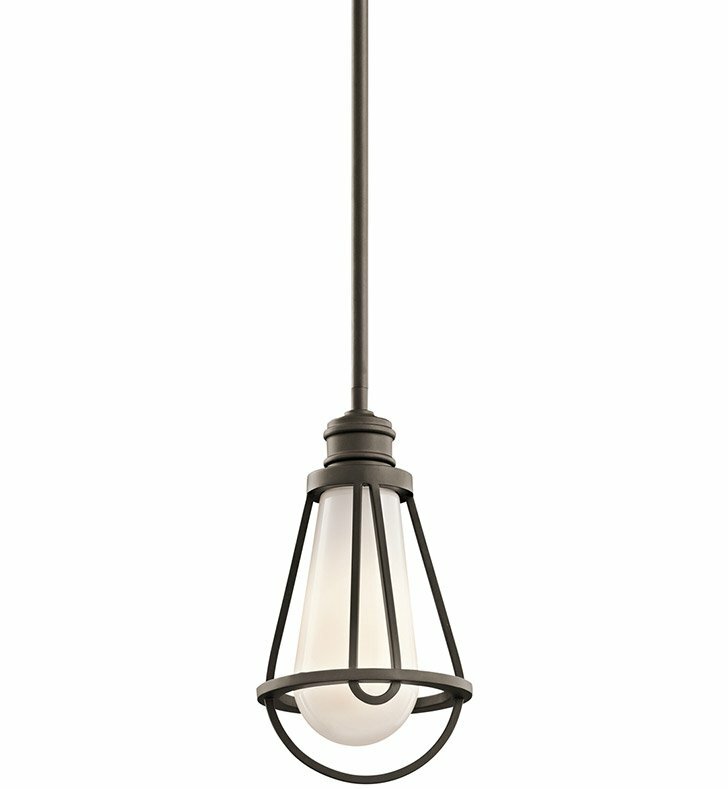 This 1 light mini pendant from the Saddler collection brings wit and character into any room, marrying a sparse, utilitarian design with a clean, contemporary flair. Featuring an Olde Bronze finish, this fixture leverages Cased Opal Glass and an open frame to create a pleasant ambience that is both minimalist and chic. Dimensions: H 11 1/2" x W 6"